purposes only, and not to be used as a basis for any investment decision. may arise from the use of the information contained herein. 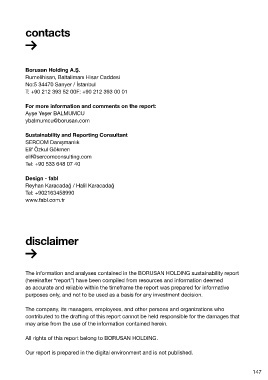 All rights of this report belong to BORUSAN HOLDING. Our report is prepared in the digital environment and is not published.